These case studies represent just a few of the ways that higher education institutions have chosen to implement Financial Literacy 101. To learn about other implementation scenarios, please visit our Best Practices or Nonprofit Solutions pages. If your Financial Literacy 101 institution would like to participate in a case study, please contact us. 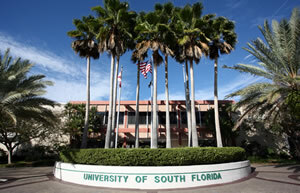 The University of South Florida is a four-year public institution serving more than 40,000 students. Since January 2009, the university has required that all incoming freshmen complete Financial Literacy 101's "Financial Basics" course as part of a comprehensive student success program. As of February 2013, over 16,500 students have completed a course on Financial Literacy 101. Ninety-four percent of participants are considered "dependent" for financial aid purposes and the average age is nineteen years. After discovering both an increase in average undergraduate debt and an increase in student loan default rates, the university decided to include financial literacy education as "an essential component of each student's educational experience." Since 2009, all first-year students have been required to participate in "Life Skills for Student Success," a program designed to teach the skills students need to succeed in college. The program is composed of three modules: Financial Literacy 101, AlcoholEdu, and the USF Survival Guide (health, wellness and safety topics). Students are required to complete all three modules before the first day of class. The program is run through the university's student management system, allowing administrators to monitor completion statistics and scores for each module on a student-by-student basis. The pre-course survey allows staff to gauge students' learning as well as their financial attitudes and behaviors. For example, Financial Literacy 101 revealed that over half of all first-year students were worried about the debt they would incur and how it would affect their choices after college. The Real World Calculator at the end of the Basics course challenges students' future earning assumptions. It forces students to see that they may have to make some financial choices in order to live within their means. The program's approach is not "preachy or condescending," which lends itself well to University of South Florida's population. Ms. Hamilton also commented "We have been extremely happy with this program not only because it handles a high volume of students at a very affordable cost, but because it provides excellent information in a way that our freshmen can relate to. Students who complete the program indicate that they would recommend it to a friend, which is the best endorsement!" More than 9 of 10 students agree that Financial Literacy 101 is "a good course." More than 9 of 10 students agreed that the program increased their knowledge on a wide range of survey questions related to credit cards and loan payments. 4 of 5 students would recommend the program to a friend. More than 4 of 5 students agree with the statement, "Overall, I learned a lot from this course." More than 4 of 5 students agree that the academic level of the course was "just right." 97% of students agree that the information presented was "complete and truthful." These students took Financial Literacy 101's Financial Basics course, a 90-minute experience that includes multimedia content, budgeting and credit card repayment exercises, personalized feedback, identity theft and financial trouble risk assessments, short and long-term financial goal setting, and comprehensive pre- and post-course surveys. A curriculum outline for this course is available from Decision Partners. When asked about future plans with their financial education program, Ms. Hamilton stated, "We are not anticipating any changes in how we administer this program in the coming years. Why mess with success!" 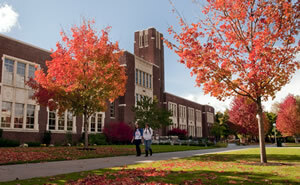 Boise State University is a public institution that serves nearly 20,000 students. Since 2007, Financial Literacy 101 has been provided through the university's financial aid department as a required program for certain student populations. Since January 2011, over 3,700 students have enrolled in Financial Literacy 101. Two thirds of course participants describe themselves as "independent" for financial aid purposes. Sixty percent of students at Boise State are under 25 years of age, while the remaining forty percent are 25 years of age or older. While Financial Literacy 101 is used by several departments, the vast majority of participants are sophomore student loan borrowers. These students must complete Financial Literacy 101's Financial Basics course with a grade of 80% or higher before their loans are disbursed. The financial aid department views the program as part of their default prevention program. Boise State chose to implement Financial Literacy 101 primarily through a PeopleSoft student management system (BroncoWeb). The program appears as a "To Do Item" on the students' self-service page. Boise State staff automates program completion reporting by exporting student lists in Excel format from the Financial Literacy 101 system and importing them into their PeopleSoft system at least weekly. The student's task is then marked as complete and his/her student loan can be disbursed. Financial Literacy 101 is also used as an assignment for University 101 classes. By asking students to complete the program prior to the appearance of financial aid presenters, Boise State reports that students are better prepared to explore one or two topics in more depth such as bank and credit card fees. With a financial aid director interested in financial education and a staff experienced in business education, student development, and online instruction, offering financial education was a priority for Boise State. Limitations with staff and resources made in-person instruction a challenge, and Boise State staff did not believe that in-person instruction would be as effective, interactive, consistent or convenient for students as Financial Literacy 101. Quality of Financial Literacy 101 course design. No advertising, especially of bank or credit cards. The pre- and post- course surveys included in the course design. According to Maureen Sigler, Senior Financial Aid Counselor at Boise State, "Financial Literacy 101 provides a lot of bang for the buck and for the time it takes a student to complete the course! Even the best of teachers would have difficulty providing so much substance into a workshop of the same 60-90 minute time frame. I feel VERY fortunate that we found Decision Partners and Financial Literacy 101!" 92% of students agree that Financial Literacy 101 is "a good course." More than 4 of 5 students agreed that the program increased their knowledge on a wide range of survey questions related to credit cards and loan payments. More than 4 of 5 students would recommend the program to a friend. More than 3 of 4 students agree with the statement, "Overall, I learned a lot from this course." Nearly 9 of 10 students agree that the academic level of the course was "just right." These students took Financial Literacy 101's "Financial Basics" course, a 90-minute experience that includes multimedia content, budgeting and credit card repayment exercises, personalized feedback, identity theft and financial trouble risk assessments, short and long-term financial goal setting, and comprehensive pre- and post-course surveys. A complete curriculum for this course is available from Decision Partners. When asked about future plans with Financial Literacy 101, Ms. Sigler stated, "We like this program so much that we are wondering what we can provide for juniors and seniors." Boise State has recently begun to explore course customization options and the use of different access codes to manage various student populations. In 2011, Boise State entered into a five year agreement with Decision Partners to continue to provide the Financial Literacy 101 service to their students. The University of South Carolina at Columbia is a public institution that serves nearly 30,000 students. Since 2009, Financial Literacy 101 has been provided through the university's Student Success Center. The program is managed by the university's Coordinator of Financial Literacy. While Financial Literacy 101 is available to all student populations, it is primarily used by undergraduates. Eighty six percent of course participants are considered financially dependent for financial aid purposes and the average age is twenty years old. When the University of South Carolina at Columbia began their financial education program, Financial Literacy 101 served as the primary education and outreach tool. 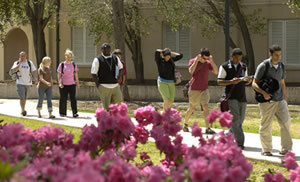 The university heavily promoted the program to both student groups and to faculty. A unique access code was provided for each "leader," typically the president of an organization or a first-year seminar instructor, to use within their group or class. The Student Success Center provided recommendations for implementing the program as well as follow-up activities related to the content. The university currently has over fifty access codes associated with their Financial Literacy 101 account. Since beginning their financial literacy initiative, the program has expanded to include a wide variety of resources including in the classroom instruction, small group workshops, large seminars, one-on-one counseling, and online programming. Financial Literacy 101 is now a piece of a large, staffed program that continues to integrate the program across all of their programs because of its "accessibility, functionality, and effectiveness." Financial Literacy 101 is the only online component used within their comprehensive financial literacy program. The Student Success Center works closely with campus partners to optimize Financial Literacy 101 adoption. Strategies that have led to high levels of student engagement include offering the program as an extra credit opportunity or as a course requirement. A tailored student experience. Described as "extremely important," the ability of Financial Literacy 101 to provide personalized content and feedback is a key capability of the program. By tailoring the student experience with a high degree of personalization, the program avoids "being 'canned' which is a quality we've seen with so many other websites." Comprehensive content. The program introduces students to a variety of financial concepts, from financial basics to advanced topics. Aggregate and student-specific assessment data. Aggregate pre- and post-surveys allow administrators "to see the impact the program has on an entire population of students" and to share that data with campus partners. Student-specific completion data also makes the program easier to implement as a requirement and to follow up with students who have started, but not completed, their assignment. According to Ms. Sale, "Financial Literacy 101 has been an extremely helpful tool as we have worked to develop and implement our financial literacy program. It is used in a variety of formats with campus partners from both student affairs and academic affairs. The great benefit is that it allows us the opportunity to provide students a reliable, comprehensive, online tool for financial education." 96% of students agree that Financial Literacy 101 is "a good course." 94% of students agreed that the program increased their knowledge on a wide range of survey questions related to credit cards and loan payments. 85% of students would recommend the program to a friend. 86% of students agree with the statement, "Overall, I learned a lot from this course." 89% of students agree that the academic level of the course is "just right." 99% of students agree that the information presented was "complete and truthful." These students took Financial Literacy 101's standard "Financial Basics" course, a 90-minute experience that includes multimedia content, budgeting and credit card repayment exercises, personalized feedback, identity theft and financial trouble risk assessments, short and long-term financial goal setting, and comprehensive pre- and post-course surveys. When asked about future plans with their financial education program, Ms. Sale stated, "Our program has grown exponentially over the past 12 months and we anticipate further growth as we continue to develop various programs and interventions for students. Our goal is to provide all students with whatever level of financial education they feel they need in order to lead a financial stable lifestyle. We hope that Financial Literacy 101 continues to be a great resource that we can provide our students."